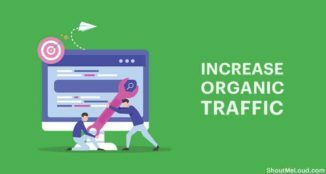 SEO has changed significantly in past couple of years, and with algorithm changes like the Penguin update, the entire game of back-linking has changed. One of the most important aspects of a backlink is anchor text. 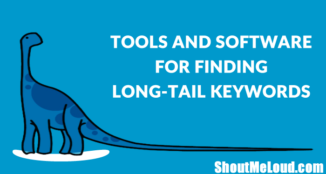 In this article, I will explain everything you need to know about anchor text SEO. Anchor text is the text that appears highlighted in a hypertext link that can be clicked to open a target web page. If you are a regular visitor to ShoutMeLoud, you know that I very frequently link back to my older posts using anchor text. 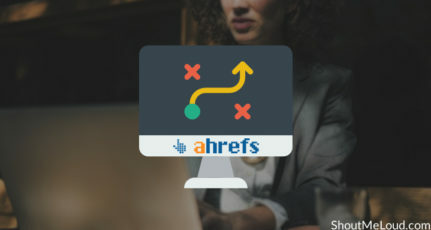 There are many direct and indirect SEO-related advantages of using anchor text, and I will point out some of the most important ones in this article. 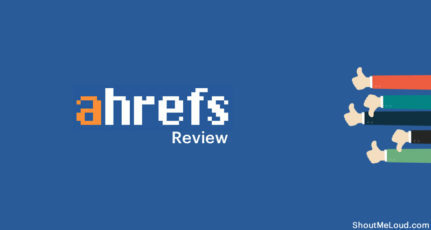 It has been well established that keyword research and on-page optimization are important to every blog post. When you write an article, try to have it targeted for specific keywords. In addition, linking to other articles and information using anchor text is also a very good practice for bloggers to regularly incorporate into their work. One mistake which many bloggers make, however, is by simply linking back to old articles with text like “read here” or “more information here”, which does not give much technical value to search engines. A more useful way to link back to your articles with anchor text is by creating links that use your target keywords! This is not only important for internal links, but when you are working on your guest posting campaign, you have to make sure that you are getting links from other domains with anchor links. 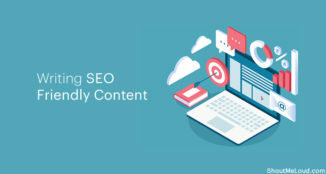 I would add that with the recent Penguin update which is associated with SEO over-optimization, I suggest that you take care to maintain a good ratio of money-related and non-money-related text. 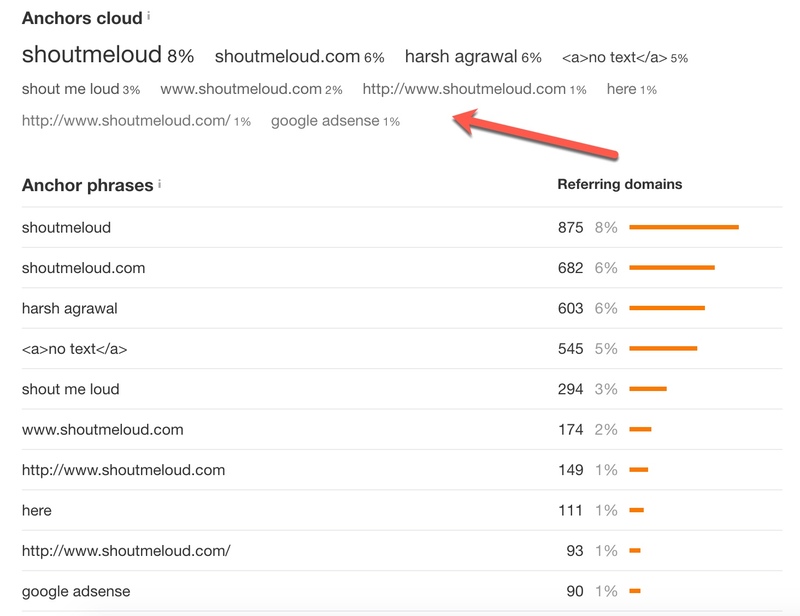 For example, if my blog is using the keywords “Make money Online” and my brand name is “ShoutMeLoud”, technically most SEO’s will suggest using links containing the keywords “make money online”. However, a better approach would be to use a mix of keywords. For example, I might use keywords like “make money online”, “make money from blog”, “ShoutMeLoud”, “Shout Me Loud” or “Harsh Agrawal” to get links to my homepage. This creates the anchor text variation which is relevant & also good. If you end up generating all backlinks to your site with your target keyword as anchor text, Google might see this as a paid link building process & penalize your site. You should read about Google Penguin algorithm update to learn more about it. Additionally, I will need to make sure the links are of high quality, and that 50% of the links I’m getting will include my target keywords. By doing this we are keeping a good mix related to our brand, and our backlinks will be more fruitful, and free from any Google algorithm updates in the future. Let me start with the direct benefits of anchor text from the readers’ perspective. First, of course, they will be given more related links of interest to visit, (and your bounce rate will go down). Anchor text also helps to improve the average time a reader spends on the site (as well as your blog’s page views). An important note: When you are linking back to your article, make sure you link to related topics only. Irrelevant linking will be irritating for readers. I have previously explained how backlinks with anchor text help to increase the general understanding of the page. Recently, with my SEO campaign, I have seen a significant improvement in the search engine positioning of one post, with one backlink. Just keep a good proportion of 50-20-20-10 of your target anchor keywords. Also, when you are getting a link back, target internal pages too, instead of only your homepage. By optimizing our anchor titles we are not only assisting our readers, but we are also helping search engine bots to better understand the content of our site. How about you? Do you take care of anchor text when you link to your old articles or any other articles outside your domain? If you find the information in this post useful, do share it with your friends and colleagues on Facebook, Twitter and Google plus. thanks for this tip, I will be incorporating this technique in coming posts. Nice post. You are very right about the anchor text. A very common mistake that people do is that they target that one keyword that they wanna rank for in the SERPs. Mixing the anchor texts up is very essential for your link profile to look natural. Because a natural link profile will contain incoming links with all kinds of anchor text. From highly optimized anchor texts, to the ones with your company name or your name or even without an anchor text. Maybe an image or click here, or read this. So the best practice would be to have a list of your 3-4 important keywords and circulate them while building links. I was using this technique on my blog but wasn’t aware that it is called the anchor text and it’s profits.. Well thanx for the information..
Here’s another tip for using anchor texts. 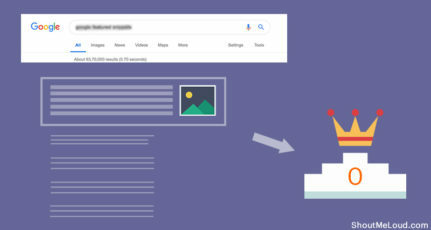 If you are wrapping an image with an anchor link, the title attribute would act like the title of the target page unless is given a nofollow attribute. So if you wrap an image, that points to a page with title “Downloads”, but your anchor title is “Click here to download”, Google will index the page as entitled with “Click here to download” . Better watch out for that! great post harsh. but can you please let me know, what to do with internal linking? like should i open my internal links on the same tab or let it open in a new tab? Harsh you are too good m a newbie just wanted to confirm that the link we provide in the post editor to over old post with related words are anchor text or anchor link. Thanks i will apply this trick to my new blog post. I Hope this will help me to write SEO friendly article. That was a great article harsh. 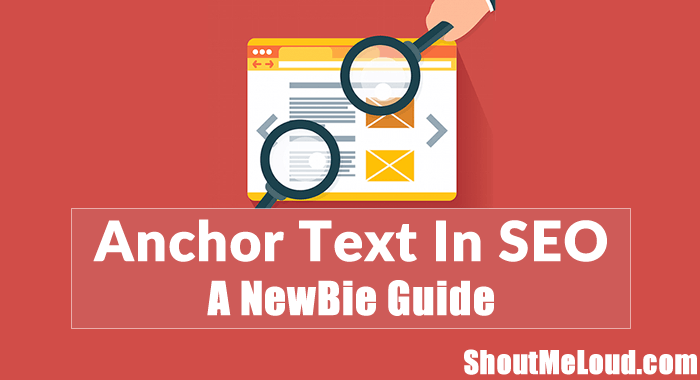 Helped me a lot in understanding the basic concept behind Anchor Text and backlinking. A great post for those who are looking for ways to increase the traffic via backlinking. Thanks a lot Harsh. Well I have a website can i use the same anchor text 5-6 times on a single page . Do it will affect my ranking. Hi Harsha, I go through your posts on Anchor Text, Backlinks and more which is written you. Its written in brief and easy to understand. Thanks for sharing such a lovely posts. I found the post very useful. I hope to incorporate more internal linking in my subsequent posts. Thanks for sharing. I like the Blog but the SEO smart link premium is beyond my reach due to price. Anything free that would do the job middlingly well. Thank you very much for these tips, I was full of doubts on this subject, but now I learned, I have a lot of work ahead of me on my blog. Nice tips! I have a blog and am trying to vary the anchor texts so as not to be penalized by Google. I always learn something new from your article. I thought anchor text is a simple thing and I was not very much careful about it. But now I realize I lost something valuable. This is a simple thing but you have described really well. I got everything I need. Really enjoyable article.